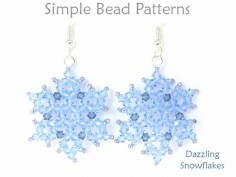 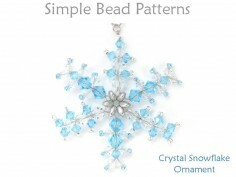 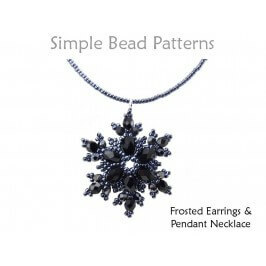 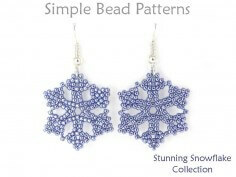 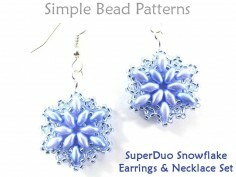 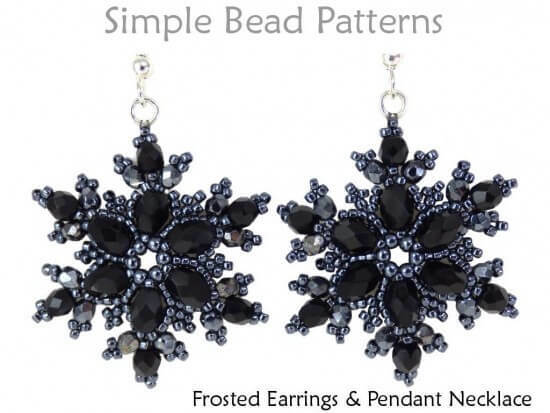 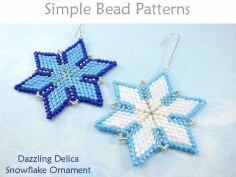 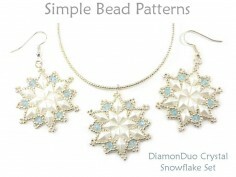 This DIY beaded snowflake earrings and snowflake necklace beading pattern will teach you how to make snowflake jewelry. 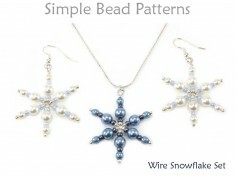 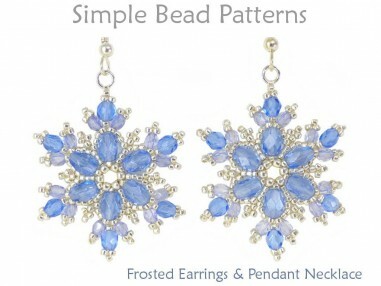 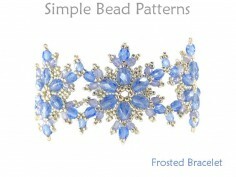 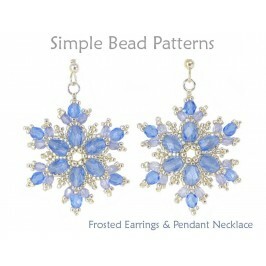 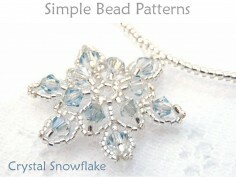 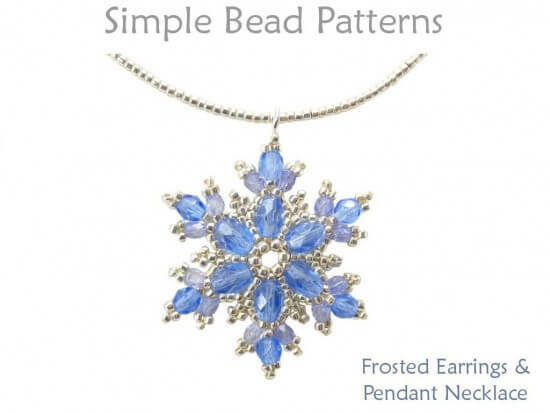 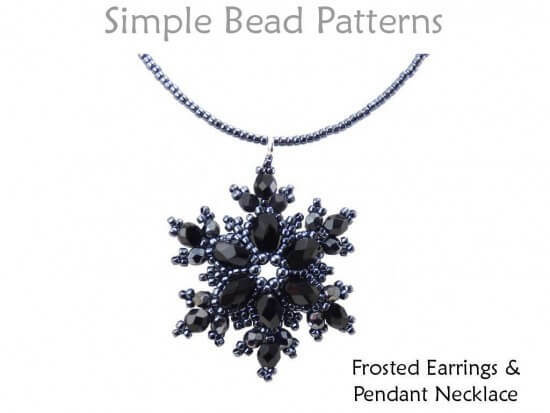 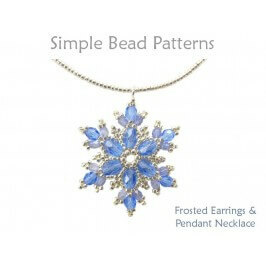 Frost yourself this winter with snowflake jewelry that even an ice princess would be envious of. 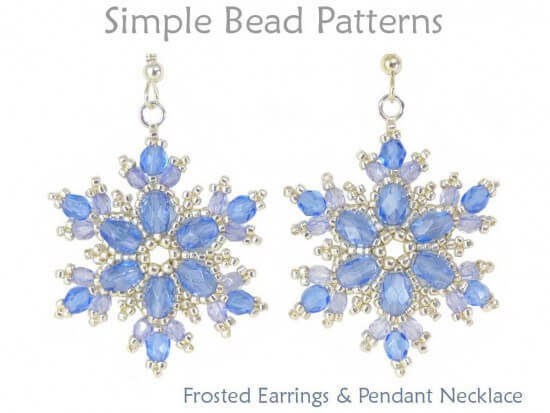 These gorgeous glistening snowflakes, part of our Frosted collection (see below), measure a full 1¼” wide by 1½” tall (including jump ring at top), making them the perfect size for eye-catching earrings and/or a simple, yet stunning pendant necklace. 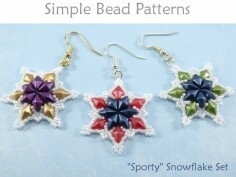 Make them in different colors to suit your mood or occasion! 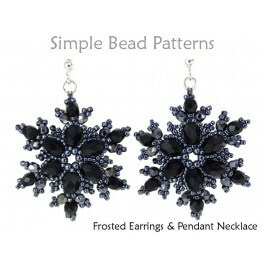 Be beautiful and cheerful in ice-cold blues and silver, sophisticated and classy in all crystals, and drop-dead glamorous in black and gunmetal (great for winter evening wear)! 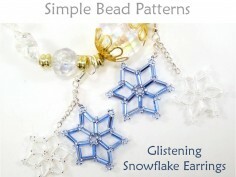 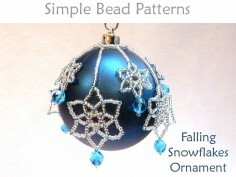 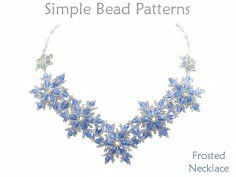 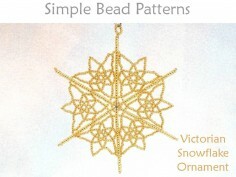 This simple beading pattern, which includes a detailed materials page, color information, and over 70 high-resolution full-color photos and easy-to-follow step-by-step directions, will teach you how to stitch up these stunning snowflakes and bring out your inner ice princess this winter. 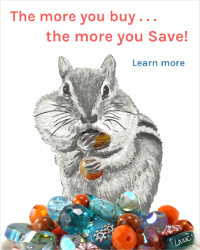 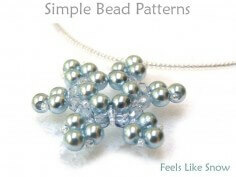 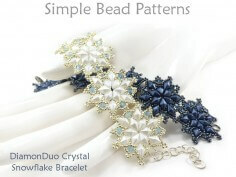 Thank you for shopping Simple Bead Patterns, and as always, bead happy!